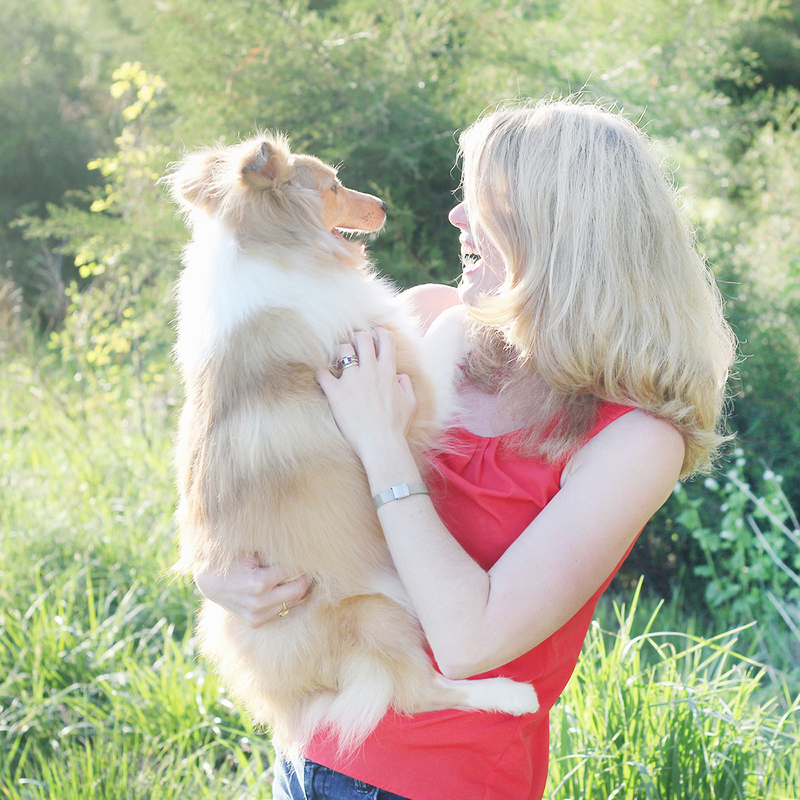 Dog Rescue – Interview with Carol Guth, Sheltie Haven Sheltie Rescue, Inc. 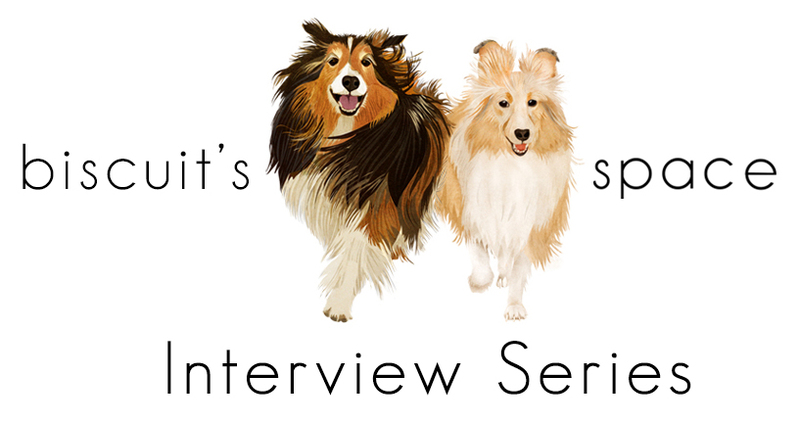 Recently, I had the opportunity and pleasure of interviewing Carol Guth who heads and leads the Sheltie Haven Sheltie Rescue, Inc., a non-profit organization based in Frederick County, Maryland. Carol does extremely important and wonderful work on behalf of many dogs who do not have any other options. 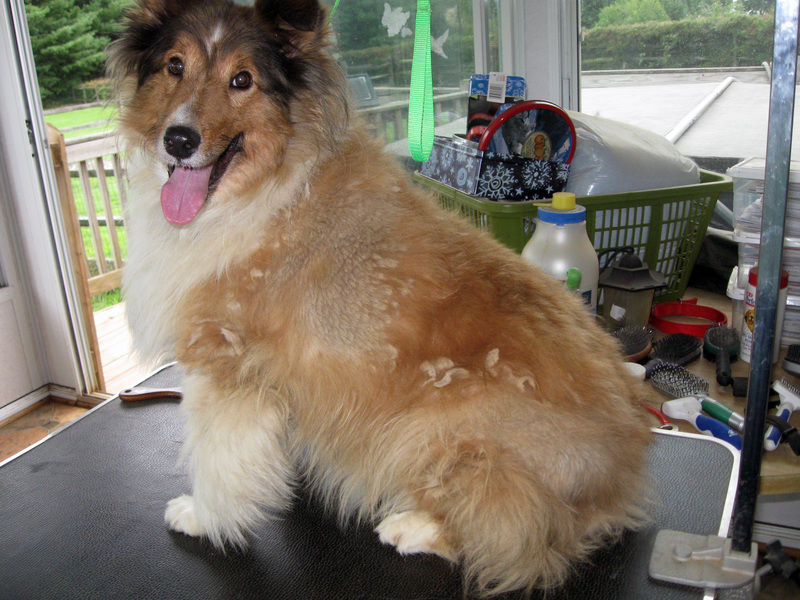 Carol has saved many sheltie dogs, including, Biscuit. 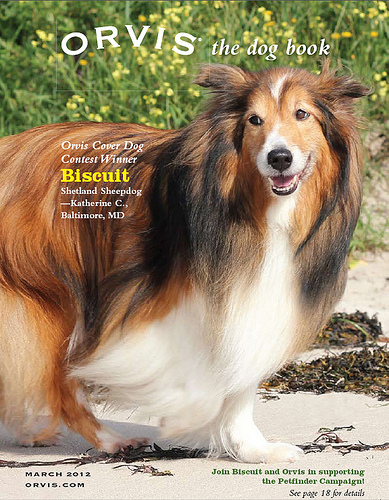 In January 2011, Doug and I adopted Biscuit from Carol through her dog rescue, the Sheltie Haven Sheltie Rescue, Inc. I believe it is important to highlight this important work that Carol does in conjunction with her rescue, the Sheltie Haven Sheltie Rescue, Inc. Please enjoy our interview outlined below! KATHERINE CARVER: How did your adventure in dog rescue begin? 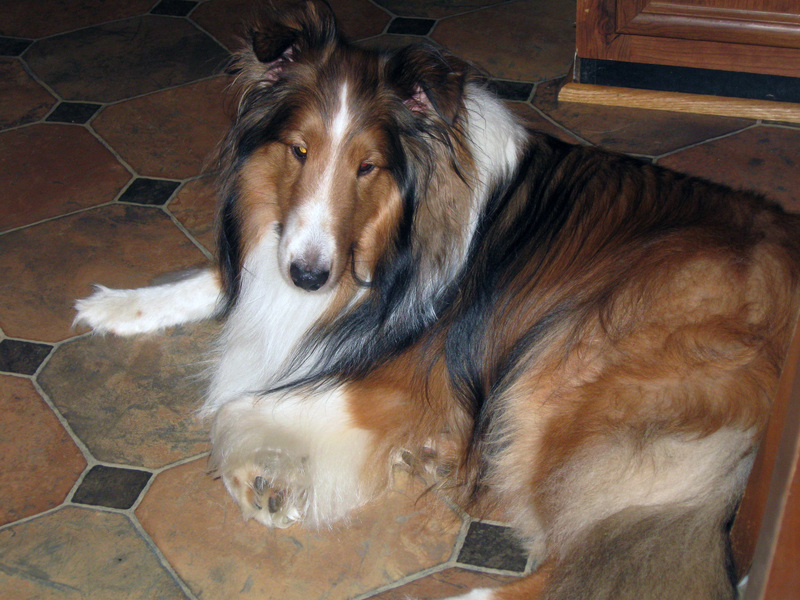 CAROL GUTH: I began rescuing shelties when I was a volunteer at our local shelter. A skinny young male sheltie mix, Jake, came into the shelter and he had a rear leg swinging. It was obviously broken. Jake was a stray and the shelter would only keep him for the five (5) days and then put him to sleep since his injury was, in their mind, not ‘fixable.’ I put a hold on Jake. At the end of his “stray days” (the law requires that all strays be kept for a minimum of five (5) full days), I took Jake home with me. I called my friend and breeder and explained what I had done and I asked her if there were any people who rescued these dogs and helped them. She gave me a woman’s name and after two conversations with her, Jake, the sheltie, was on his way to getting his leg repaired! My vet was willing to put his leg back together for a reasonable fee and this rescue paid the vet bill. I took care of Jake and helped him through his rehab. Once his leg was fixed and healed, Jake had about 90% use of this leg; and a week after that, my contact had found a home for Jake. Jake’s new owner kept in touch with me and even moved across the country with Jake. Jake lived to be well into his 15th year and enjoyed life to the fullest. As a result, I was hooked on rescuing dogs. KATHERINE CARVER: What does your rescue work entail? CAROL GUTH: Dog rescue is a lot of work. At first there were four (4) of us who shared the rescue work. By incorporation with the State of Maryland, we legally formed our rescue, Sheltie Haven Sheltie Rescue, Inc.; we obtained the 501(c)3 not-for-profit classification; and we created a website all in about a years time. I started taking in a dog or two from the shelter and informed other ‘sheltie people’ about these sheltie rescues. Word of mouth helped with the first three (3) to four (4) shelties who came to our rescue. Now, I get dogs into the rescue most often from the original owner. These owners do not want to put their dog in the shelter and they are looking for an alternative. Owners call me, we chat, and they bring me the dog with whatever paper work they may have. Once the dog is in my care, I take the dog to the vet for an exam, shots, and spaying or neutering (if necessary). If we find a problem, we take care of it. Our biggest problem is always money. Sheltie Haven Sheltie Rescue, Inc. is funded entirely through donations. In the beginning we did a lot of fund-raising and went to pet stores to share our dogs and our vision. The rescue built up its bank account and it continues to do the same now. 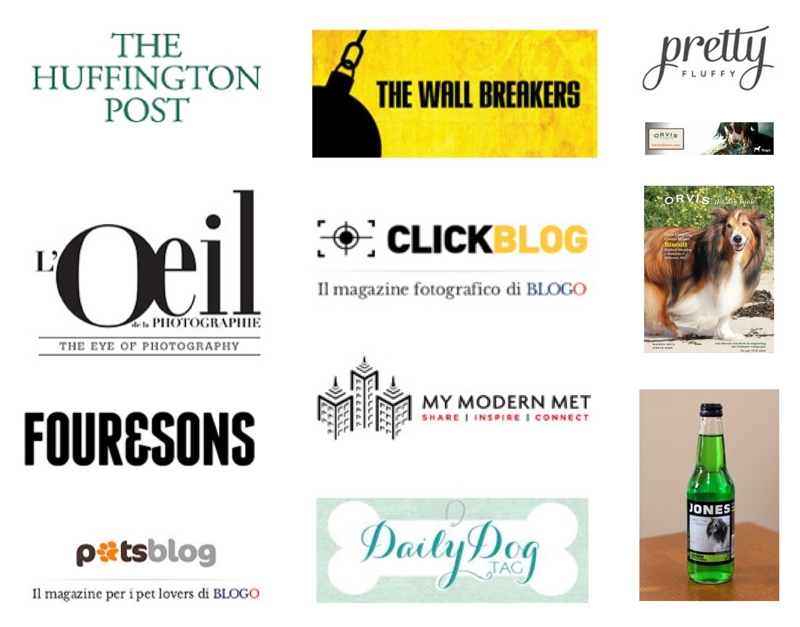 We have a couple of people who are monthly contributors and there are others who donate their time to the rescue. There is of course, the daily handling of the dogs. They all need to have exercise, food, love, attention and grooming! KATHERINE CARVER: What rescue experience moved or inspired you the most? 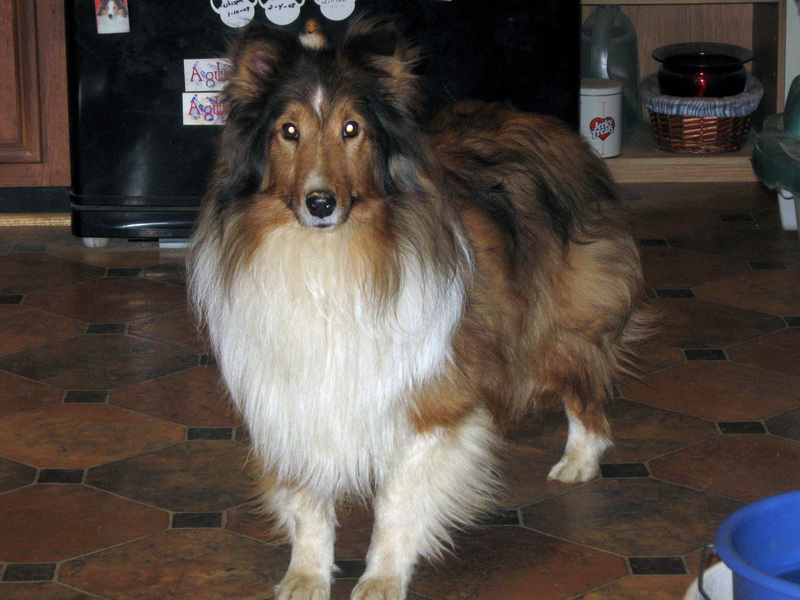 CAROL GUTH: I think my most inspiring story was a young sheltie named Mitzie. I received a call from an older woman explaining how there was this sheltie that showed up at her house on a regular basis and her favorite pastime was chasing the eighteen wheelers that passed her house regularly. 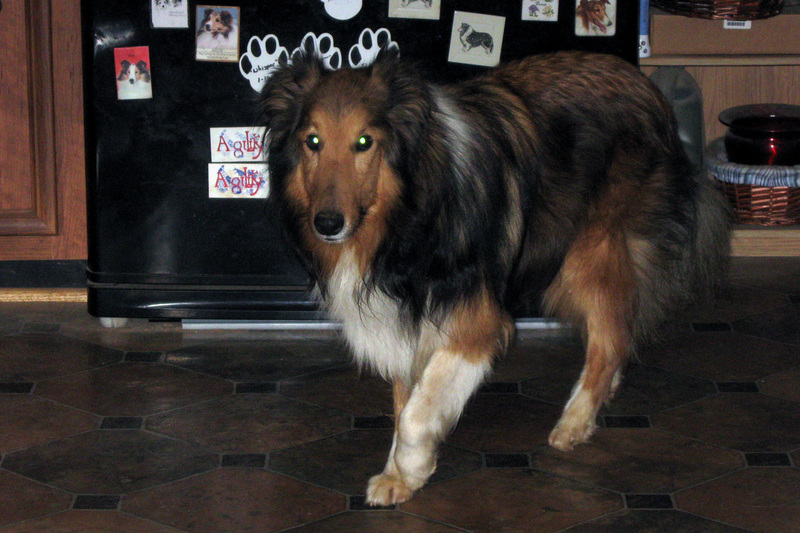 When this sheltie named Mitzie showed up at this woman’s house, she was not running well. After catching Mitzie, this woman discovered a wound in the rear leg; however, she did not have the financial means to take Mitzie to a vet. The woman contacted me, and I traveled and picked up Mitzie and took her to my house. I arrived the following day, and brought Mitzie to the vet who examined Mitzie and discovered that Mitzie had a GUN SHOT wound. At the time, it was December 23, and I could not get an appointment with the orthopedic specialist until December 26. As such, we bandaged Mitzie up and took her home for the holiday. On December 26, we went to the orthopedic specialist, and it was discovered via x-rays, that bee bees had shattered Mitzie’s knee and the bee bees had gone through a growth plate. We decided to try reconstructive surgery. The surgery went as planned; however, the bone failed to heal. Two (2) months later, Mitzie’s leg was amputated. We placed Mitzie’s photo on the Sheltie Haven Sheltie Rescue, Inc.’s website, and a family contacted me and decided they wanted to adopt Mitzie even though they had to wait for Mitzie to recover. We initially thought they would have a change of heart after Mitzie’s leg was removed; however, this family still wanted to adopt Mitzie who now had only three (3) legs. Mitzie was soon adopted after her rehab was completed following the amputation of her leg. The family who adopted Mitzie came back to visit the rescue three (3) years later, and we watched Mitzie run in the yard, and you would never had known that she was running on only three (3) legs. Mitzie was fast and furious! Mitzie was still willing to chase anything that moved! KATHERINE CARVER: Do you have any favorite rescue story? 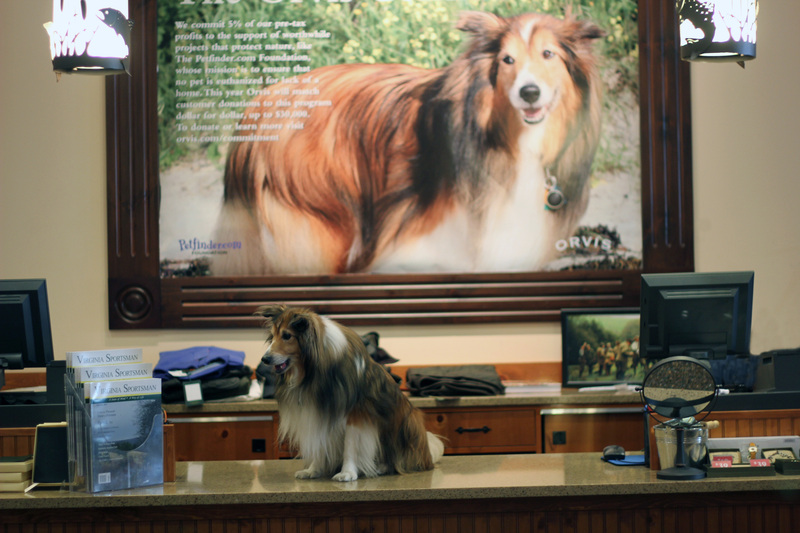 CAROL GUTH: Sherman, a sheltie, had to have been the one of my favorite rescue stories. Sherman came to me from a family with four (4) kids. Sherman was adopted almost as soon as he came into the rescue. I did not have much time to evaluate him in-depth, although Sherman seemed fine and a couple adopted him during the month of October. The man who adopted Sherman called me in early November to tell me Sherman had bitten his wife. After talking with him, I suggested he return Sherman to the rescue. In response, the man said, “Oh, no. I love the dog.” The man stated to me that he would keep Sherman. The man called me again in early December to tell me that Sherman was chasing shadows on the wall and asked if I knew what was wrong with him. I suggested to the man that he have Sherman’s eye examined by the vet. “Oh, and by the way,” he said, “The dog bit my wife again.” We talked and I again suggested that he return Sherman to the rescue as the bite this time had broken skin. The man was afraid I would put Sherman to sleep and, he said, “Oh, no. I love the dog. He is a beautiful dog.” So, he kept Sherman. The man called me again on December 26th and said he had taken Sherman to the vet and to an eye specialist and they both found nothing wrong with Sherman. However, to my surprise, the man informed me that he was returning Sherman ASAP as the man told me that Sherman was a ‘vicious biting dog!’ I ask in response, “What happened to bring this on?” and he replied, “Sherman bit ME!” I was so glad I was not his wife again! Soon after, Sherman came to live with me. We discovered that Sherman had hip dysplasia and that he was afraid of being trapped. As time went on, Sherman learned to trust me, and I got to the point he would let me groom him without a muzzle. He decided after he had lived with me for eighteen (18) months that I belonged to him and that he was responsible enough to be left out loose in the house with my other dogs. He lived with me until bone cancer took him at age fourteen (14). We as a great and beautiful dog!! Below is a photograph of Sherman! KATHERINE CARVER: What is the most challenging aspect about your dog rescue work? CAROL GUTH: I think the most challenging aspect of dog rescue is having enough money to pay for vet bills. Vets like everyone else, have expenses that increase each year. I am able to perform the annual shots on the rescue dogs, but the rabies and snap test for heartworm have to be completed by the vet. For each dog rescue, I have the rabies vaccine completed at the local clinics after the initial one is given by the vet. 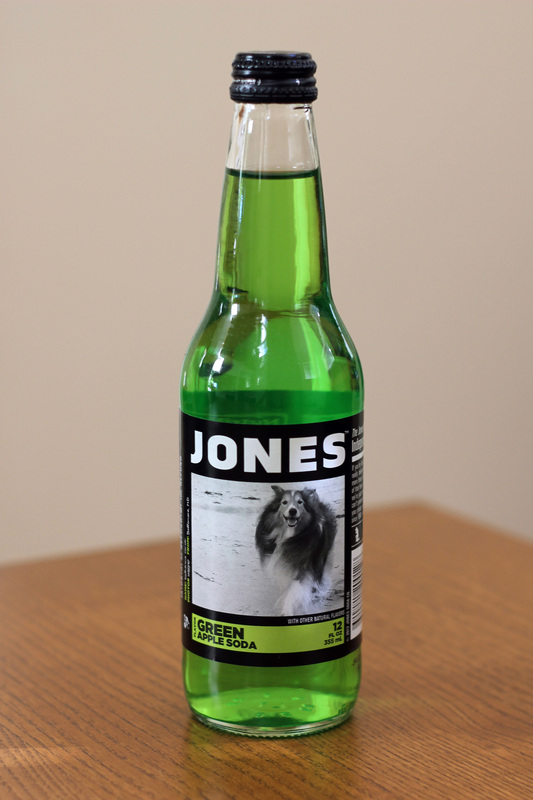 However, some rescue dogs already have their rabies vaccine current by proof of vaccination. However, blood work, surgeries, and other tests are expensive. My vet and I have an arrangement for certain costs that have remained the same. These costs include the snap test for heartworm, rabies, and neutering/spay fees. My vet also has been very generous with our rescue over the last twenty (20) plus years I have been involved in dog rescue. KATHERINE CARVER: What are the most satisfying and rewarding parts of your dog rescue work? CAROL GUTH: I am always extremely gratified when a rescue dog gets a wonderful new home and they get a new lease on life. I really love the fact that I have repeat customers for rescues and that people keep in touch to tell me how they are doing. I also board back my rescues so that I can see for myself how they are doing if the family goes on vacation, for example. 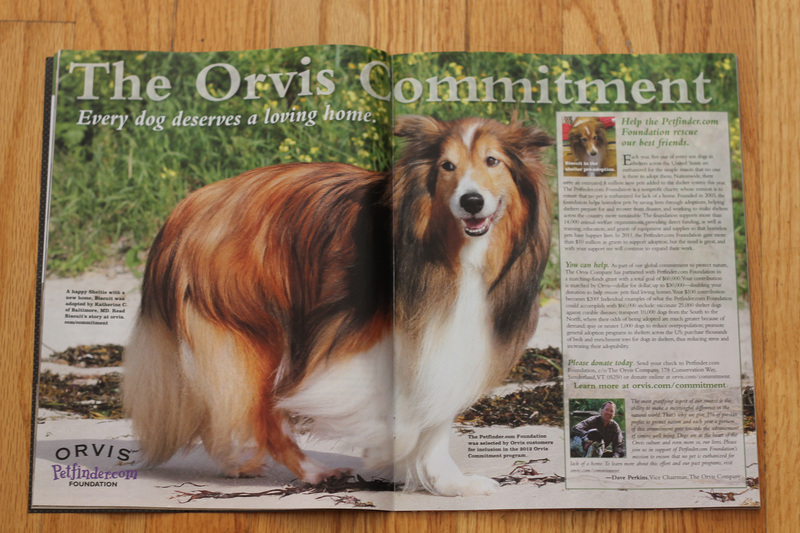 Biscuit is my first rescue dog to gain public recognition – Biscuit recently was an Orvis Cover Dog Winner; Biscuit represents the Orvis’ Petfinder Commitment promoting dog rescue; and Biscuit is a Jones Soda Label Winner! Please see the highlights of Biscuit below. KATHERINE CARVER: If you could give pet owners one piece of advice, what would it be? CAROL GUTH: The best thing anyone can do for their pet is to spend quality time with his/her pet – and for the young and energetic sheltie that means training and dog sports! Get involved with your dog and do things that make you both happy and fit! Agility, Rally, Obedience, Trick, Dancing with your dog (Canine musical Freestyle), Flyball, and Frisbee completions are just a few of the opportunities that are out there for you and your sheltie canine partner. KATHERINE CARVER: What advice can you give to someone who might be considering getting involved with or starting an animal rescue group? KATHERINE CARVER: What are your goals and dreams for the future? CAROL GUTH: I hope to retire from my weekday job in another three (3) to four (4) years. I am hoping and planning to spend more quality time with my own dogs and the rescue dogs in the hopes of getting more of them placed into furever homes sooner. I would like my turn around time to place a new rescue dog to be no more than one (1) month. Below are photographs of Lassie, a sheltie rescue dog who was at the Sheltie Haven Sheltie Rescue, Inc., who has since been adopted. Most noticiable in the photogrphs below, you can see significant positive changes in Lassie’s fur coat and weight. 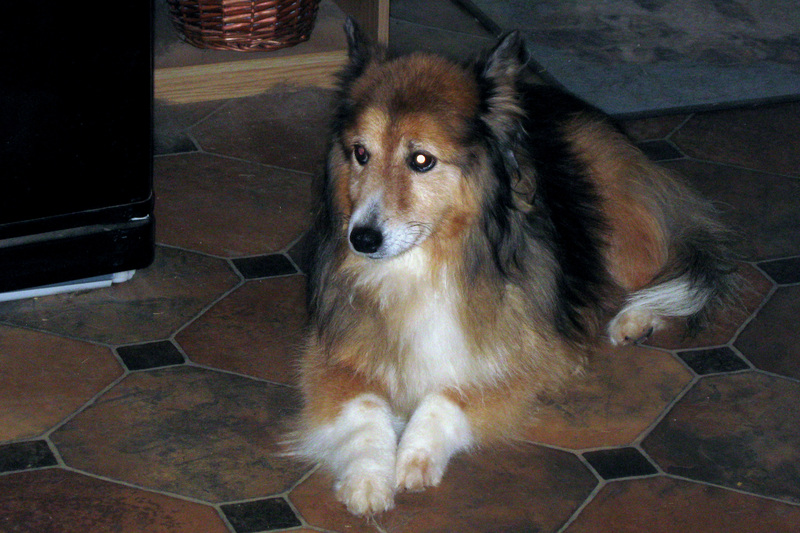 Lassie looks like a totally different sheltie dog in Lassie’s after photograph displayed below. KATHERINE CARVER: How can one donate to your dog rescue, Sheltie Haven Sheltie Rescue, Inc.? CAROL GUTH: Sheltie Haven Sheltie Rescue, Inc. is a non-profit organization. With our 501(c)3 non-profit status, all donations made are tax-deductible. If you would like to send a donation, you can make a check payable to SHSR (Sheltie Haven Sheltie Rescue, Inc.) and mail it to me at 2707 Rosemary Court, Adamstown, MD 21710. Thank you for any and all donations to the shelties in the rescue. Currently, there are seven (7) shelties in the rescue who are in need of furever homes. These shelties range in age from fourteen (14) years to two (2) years of age. If you want to adopt a rescue dog; donate money; and/or contribute your time to the Sheltie Haven Sheltie Rescue, Inc., please contact me via telephone at 301-663-0635; or via e-mail at sheltytaxi@aol.com. You can also visit our website, which is currently in the process of being upgraded and redesigned at, http://www.sheltiehaveninc.org/. 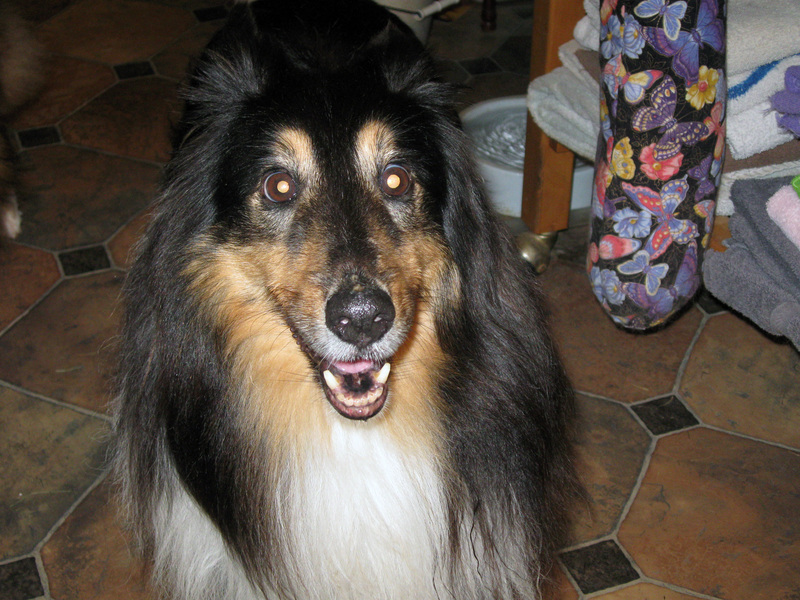 Below are photographs of three (3) of the current sheltie rescues dogs in need of furever homes. (Please note that I also have four (4) more shelties not pictured who are also in need of furever homes). Please contact me if you are interested in adopting any of these shelties shown immediately below. Photographs of the sheltie rescue dogs are courtesy of Carol Guth, Sheltie Haven Sheltie Rescue, Inc.
Is Charlie house broken? And how did Charlie end up at your shelter? I don’t even understand how I finished up here, but I thought this put up was once great.